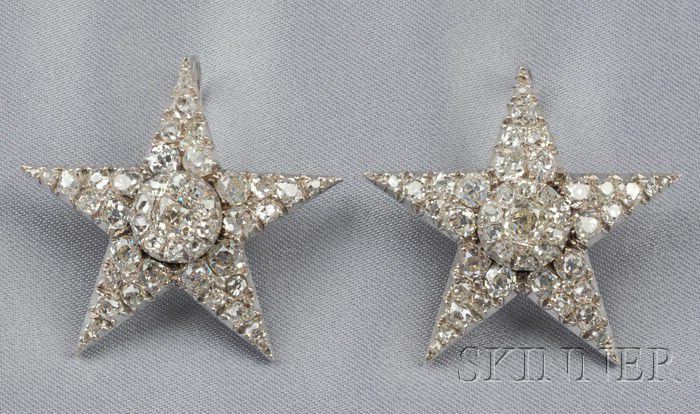 Pair of Antique Diamond Stars, set with old mine-cut diamonds, approx. total wt. 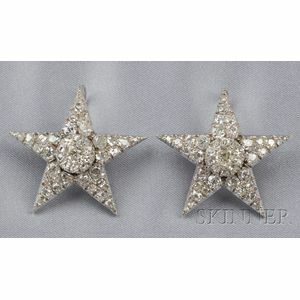 5.00 cts., rhodium-washed silver-topped gold mounts, dia. 1 1/4 in., (tiara fittings converted to earpendants).